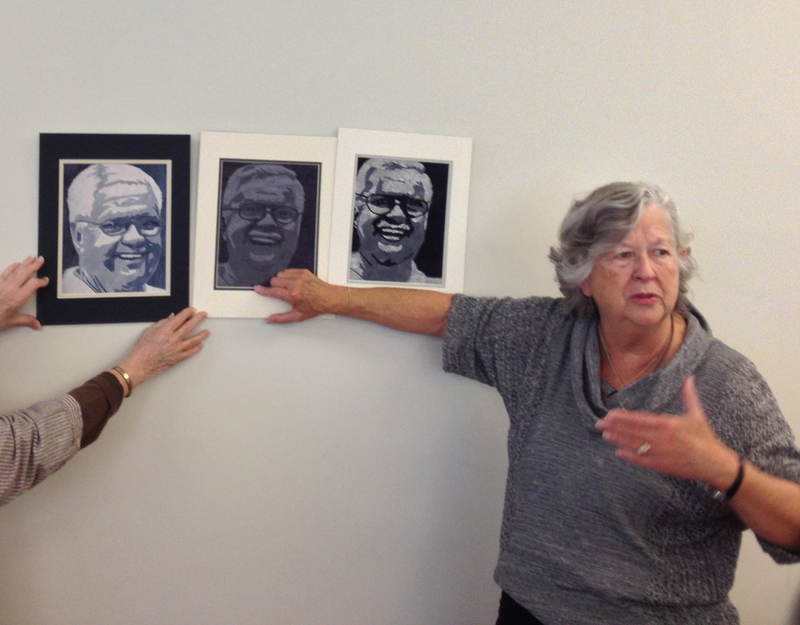 The Needlechasers of Chevy Chase hosted Victoria Findlay Wolfe this past week. 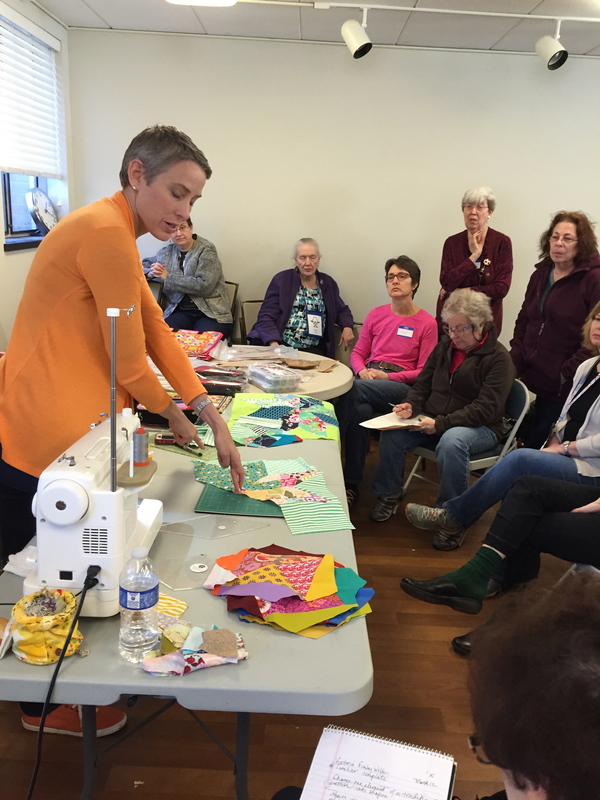 She drove to the DC area from NYC where she lives and talked to our guild on Wednesday and taught a 6 hour workshop on Thursday. She is amazing! 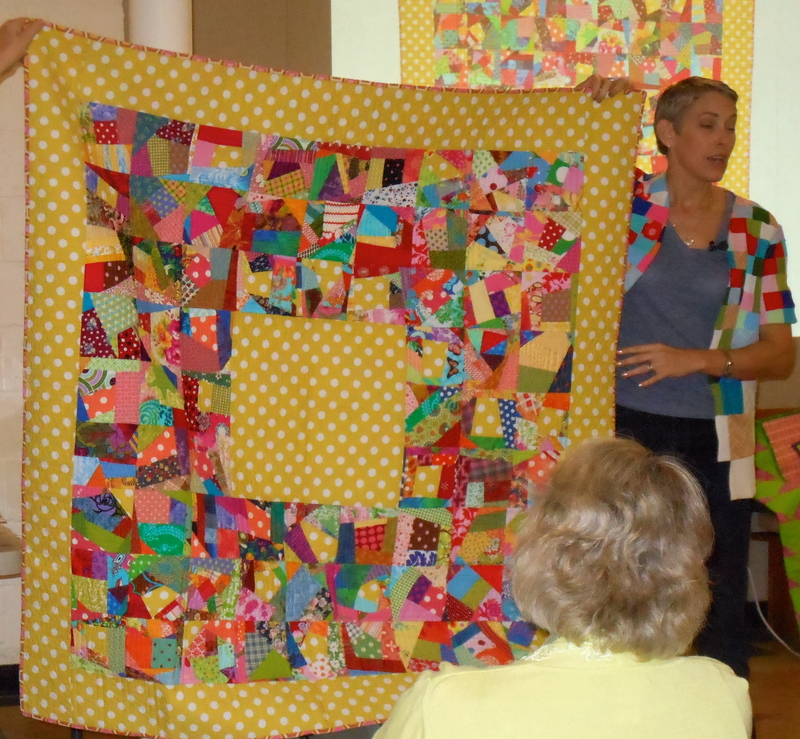 She showed many bright and beautiful quilts which included pieced-together scraps. Her lecture on Wednesday was about “15 Minutes of Play”. 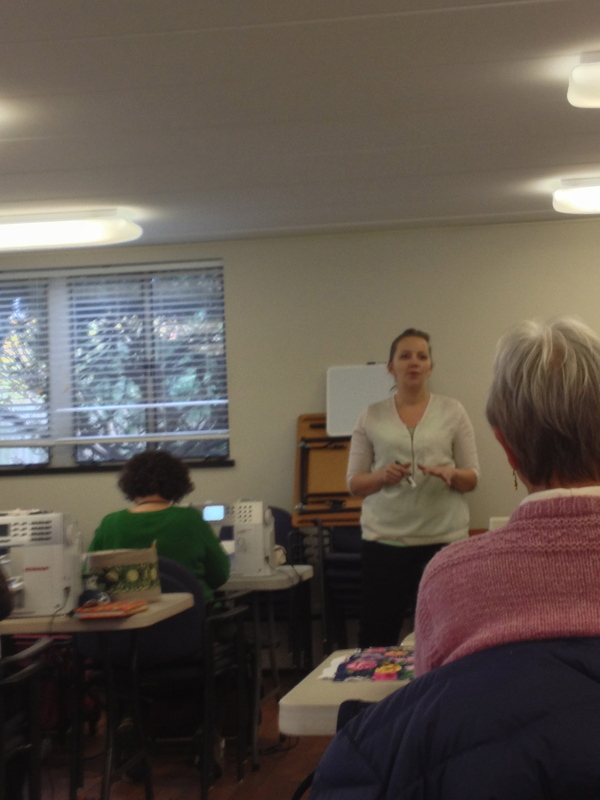 This is the title of her first book and also describes what she tries to find time for every day in her sewing studio. 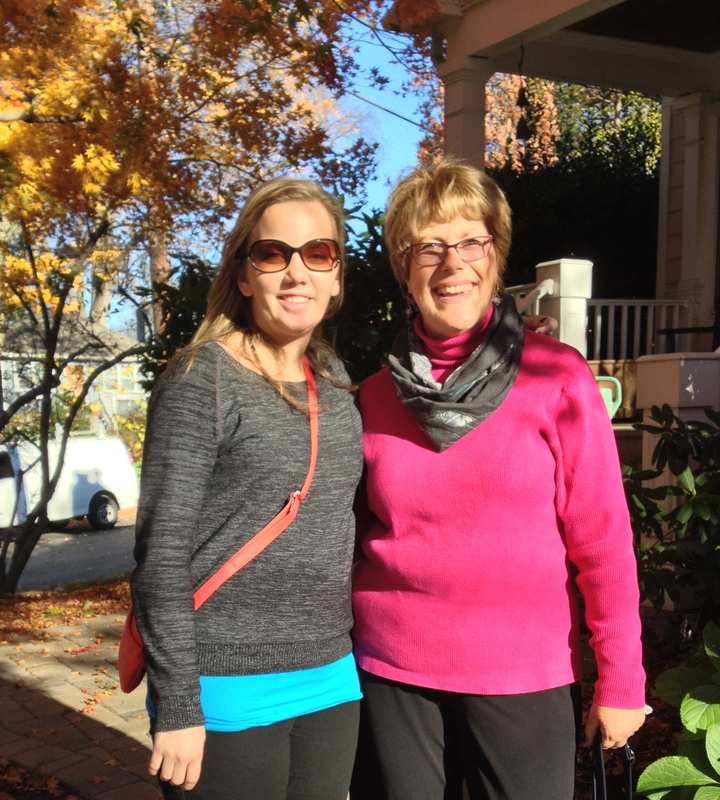 She told us about growing up on a farm with a beloved grandmother who sewed (polyester!) 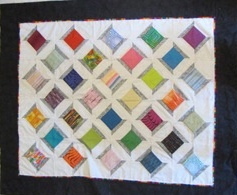 scraps together into quilts. 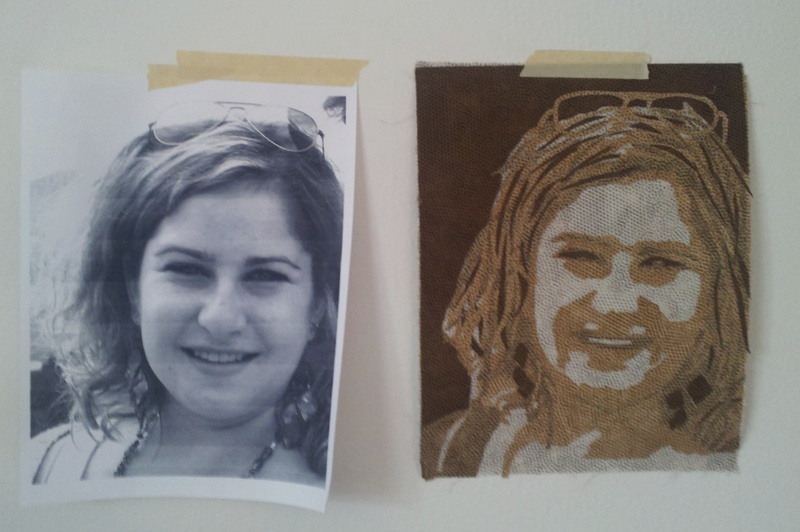 Victoria ended up going to art school and eventually fell in love with quilting and used this technique of playing with sewing scraps together to incorporate them into her own quilts. She changed into several polyester jackets during her lecture. The quilt she thought she’d “never” make. 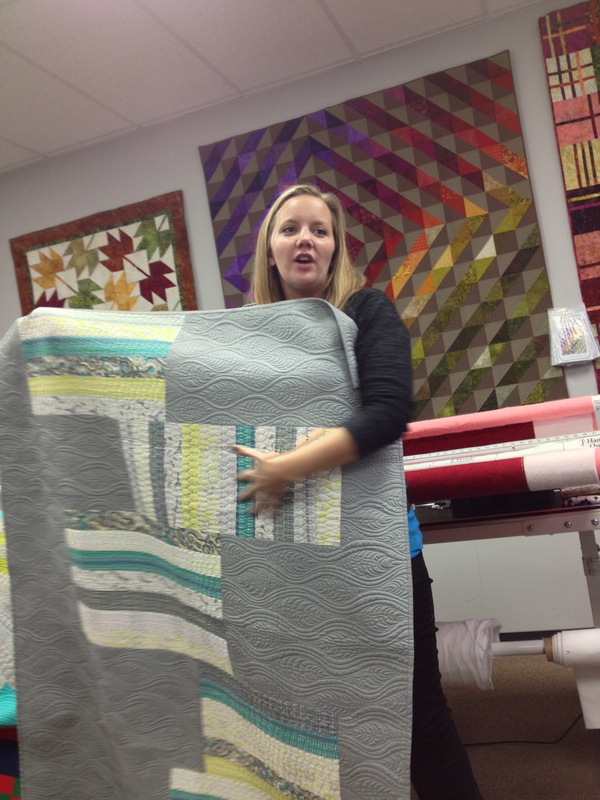 Victoria showed us many examples of mixing the “made” fabric with “unmade” fabric to get even a bigger variety of patterns in our quilts and then set us free to work on our own pieces. 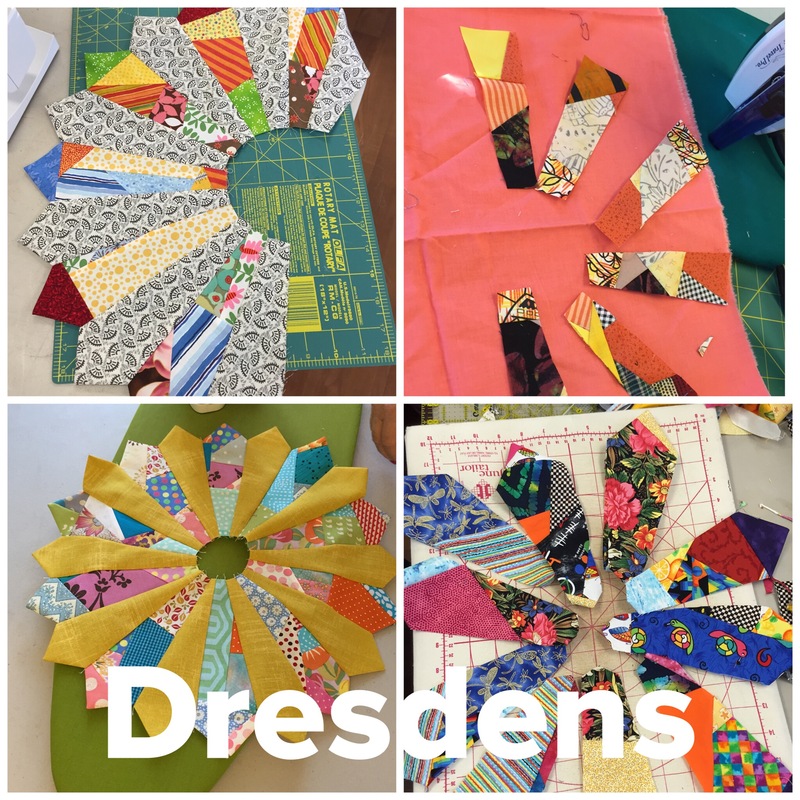 Some workshop participants cut their scraps into dresden shapes. 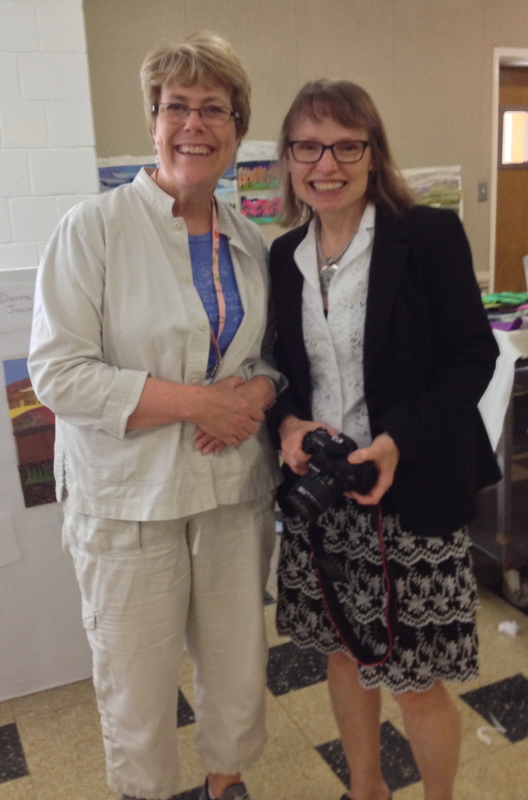 It was a very fun couple of days to spend time with this wonderful quilt artist and learn about her process of creating the type of quilts that she makes. 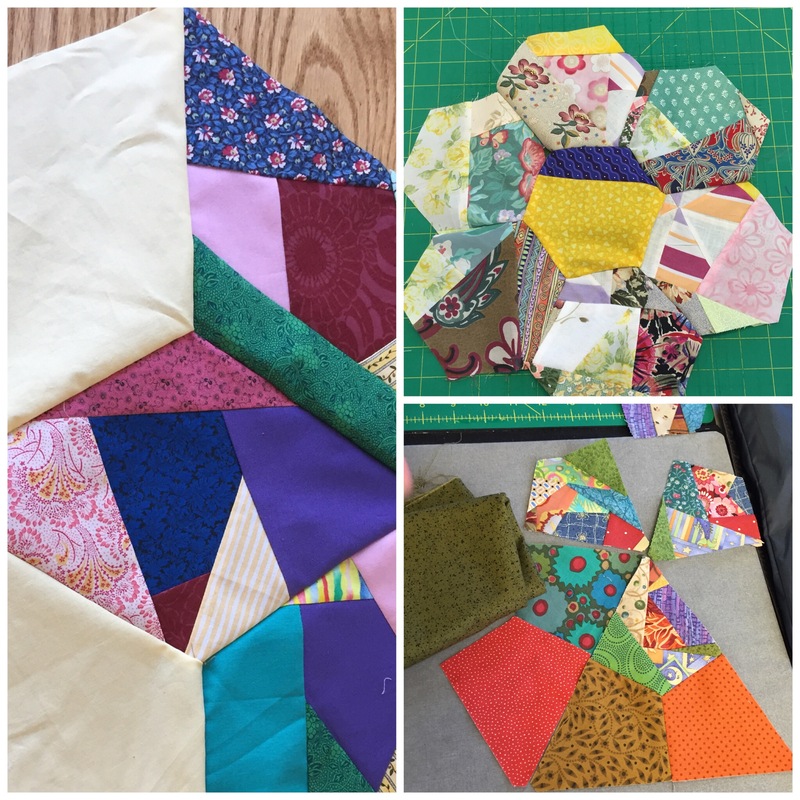 It certainly has made me think more “out of the box” about cutting things up – including old tops or blocks that I never intend to finish because I no longer like them. Maybe by cutting them into other shapes and adding other fabrics that I do love, I will make these older pieces into something that I will treasure. I can’t wait to give it a try! 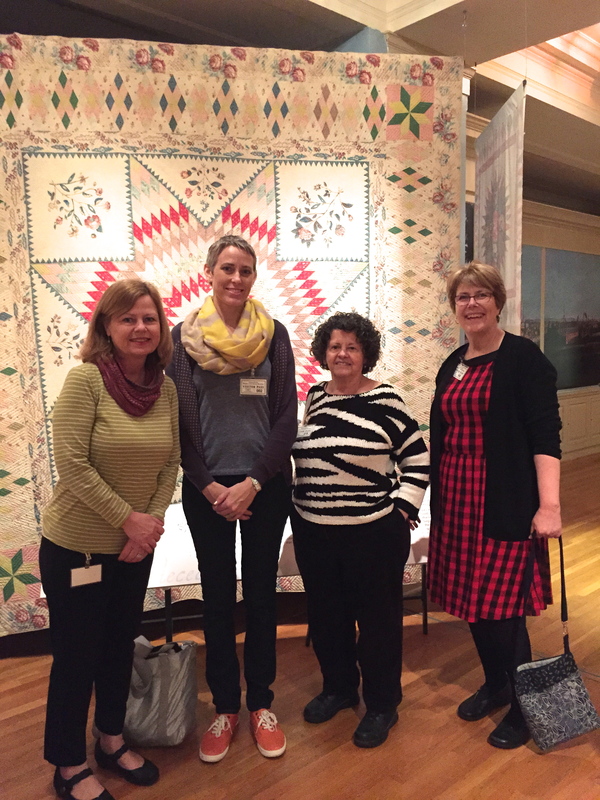 On Wednesday afternoon a few of us took Victoria to the Daughters of the American Revolution (DAR) Museum in DC which currently has a special exhibit of antique quilts from Virginia and Maryland. The Needlechasers guild is booked to take a tour of this exhibit together this summer and I wanted to preview it. 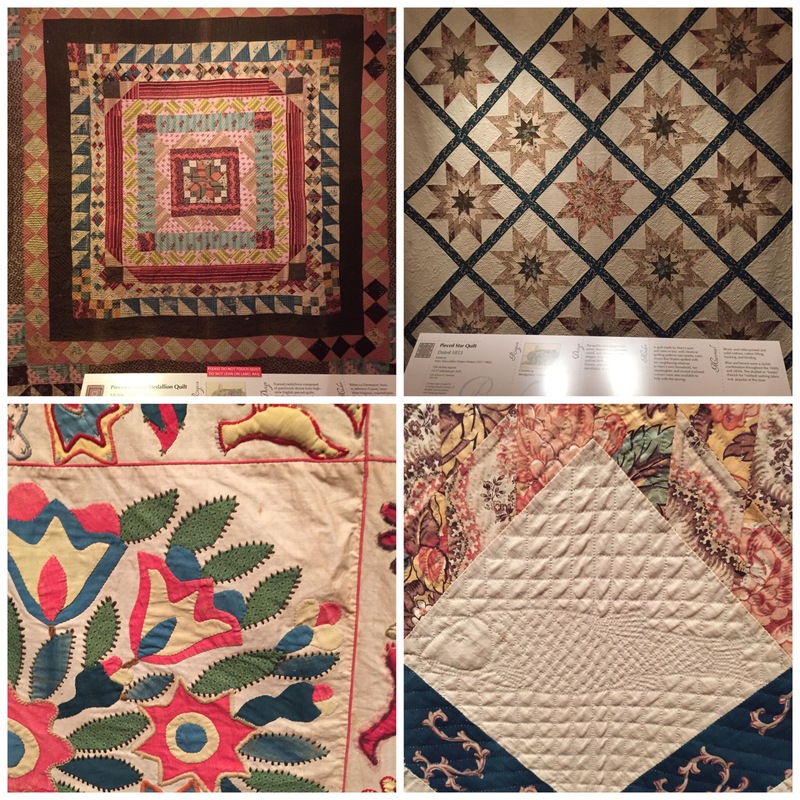 It was wonderful to see these old quilts. Don’t you love her orange shoes? 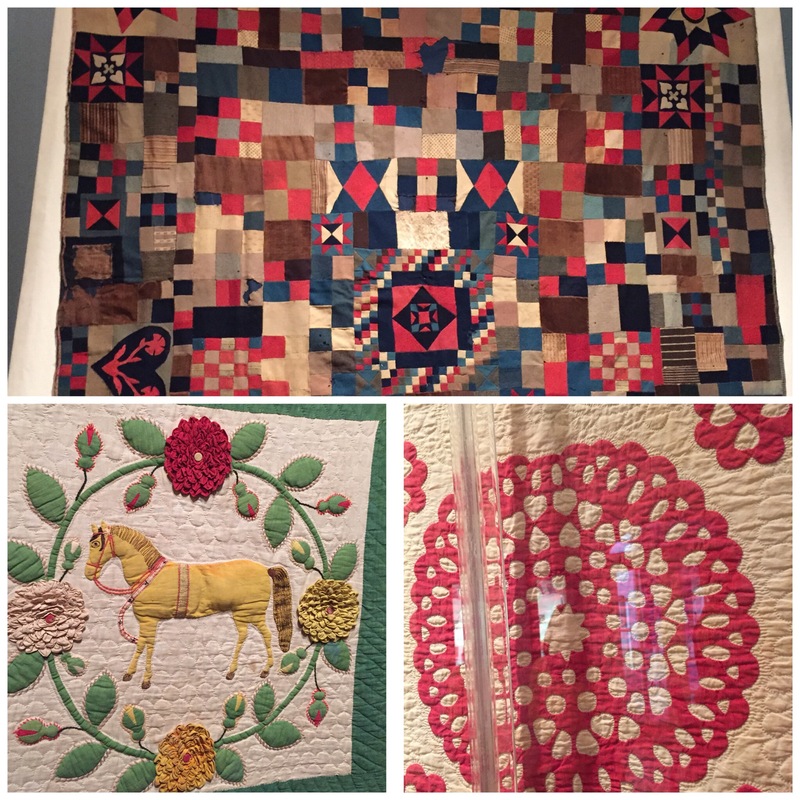 The details on these quilts were astounding. 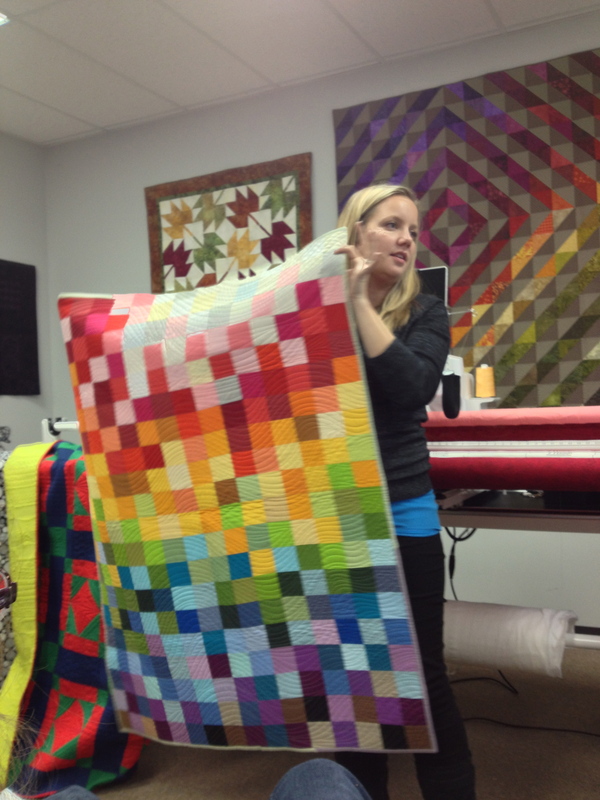 To see such a variety of quilts, old and new over the course of a couple days this past week was quite a treat for me. You can see Victoria’s blog post about it here. If you ever have a chance to meet Victoria Findlay Wolfe, hear her speak, see her quilts or take a workshop with her, make sure to do it! You won’t be sorry. Thanks Victoria, for a great couple of days! NeedleChasers of Chevy Chase was fortunate enough to book Sue Benner for a lecture and 2 day landscape workshop this month. She is an extremely interesting artist. Please take a look at her website to learn more about her and see her work, you won’t be sorry. She uses a fused quilting technique using many fibers but especially a lot of silk which she has dyed. 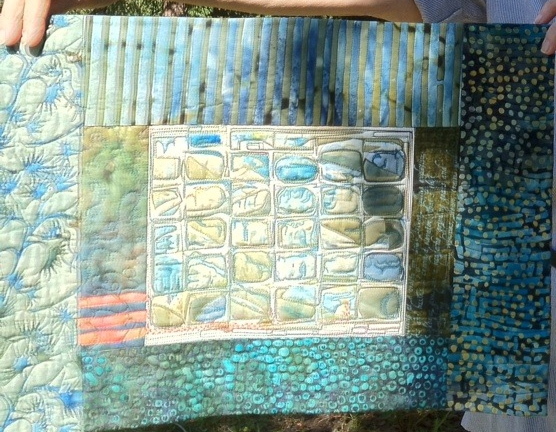 She also uses paint when layering her fused pieces. 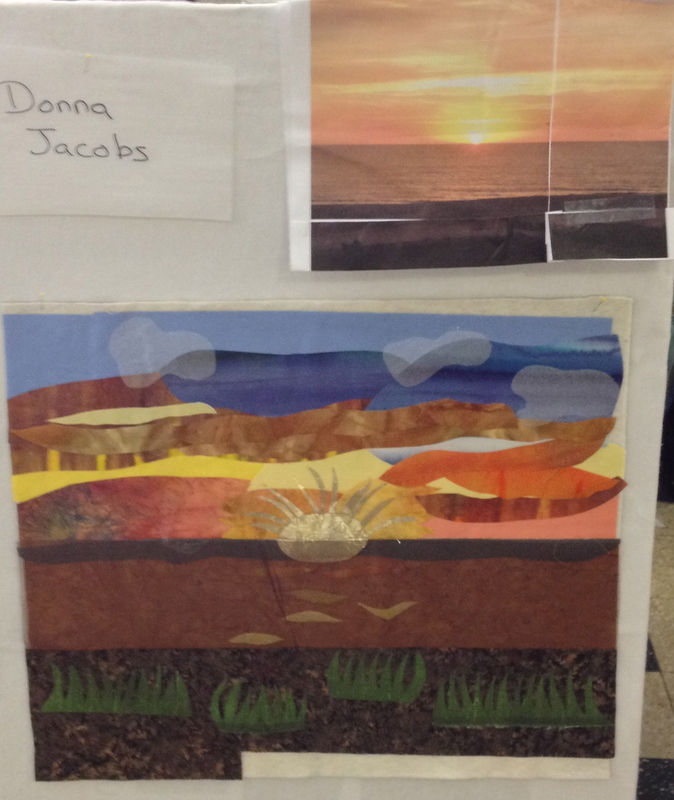 Here are a few of her landscape pieces used with her permission from her website. Aren’t these beautiful? Wouldn’t you want to try to learn how to create something like this? 15 of us got this chance last week. Let’s be clear, we didn’t do any dying or painting. 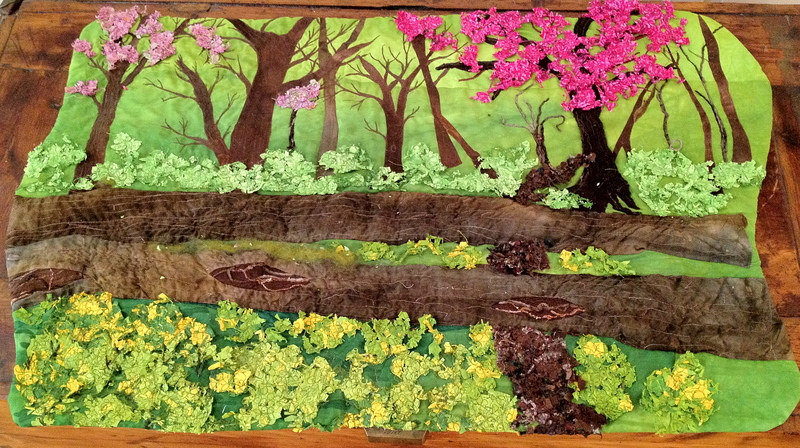 We simply tried to learn how to layer fused fabric in a way to represent a landscape that was special to us. I used a picture that I love of a wheat field in Iowa that I took last summer while we were traveling to the Tetons in Wyoming. 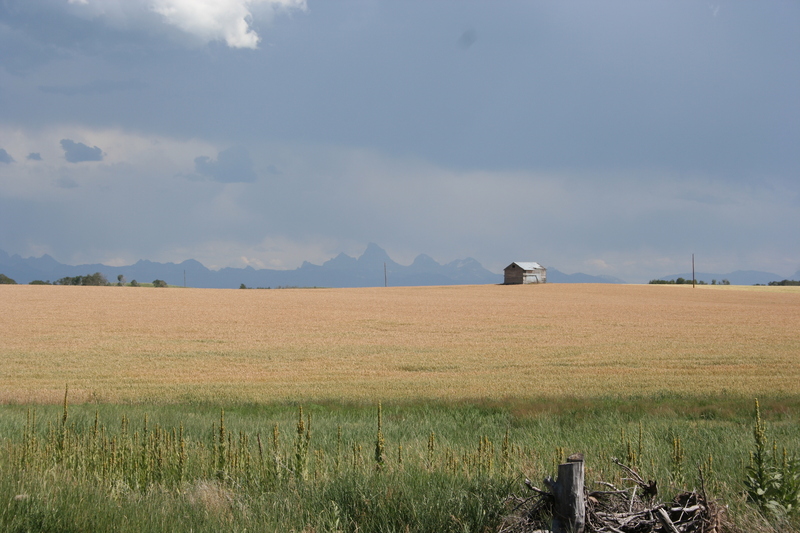 Notice that the Teton mountains are there in the background. 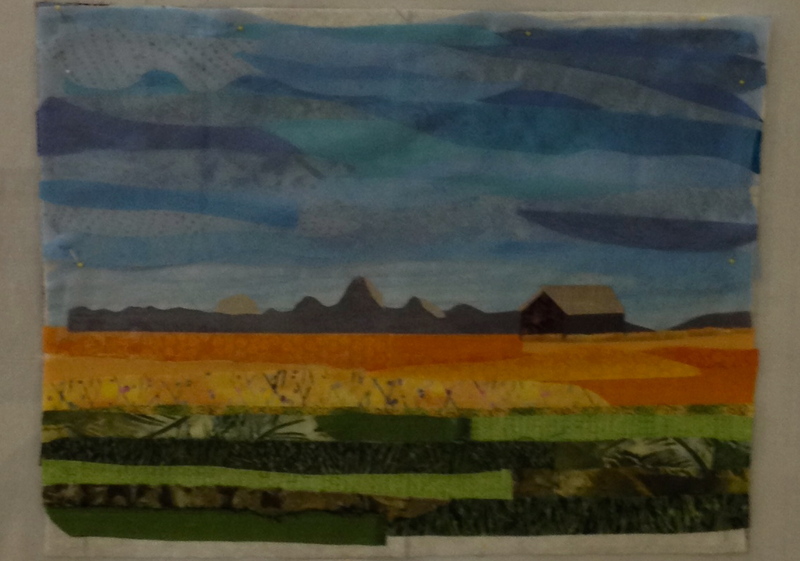 Here is my attempt at the fabric landscape of this picture. I actually love the bright colors, even though the original picture is rather dull. We did a couple exercises during the first day of the workshop. 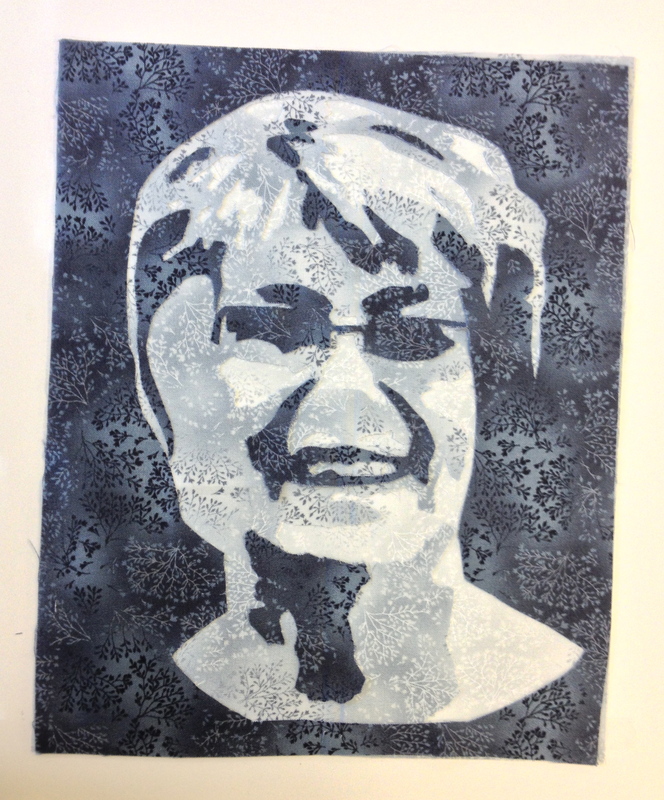 Here is a great example that Debbie Lamb-Mechanick did. 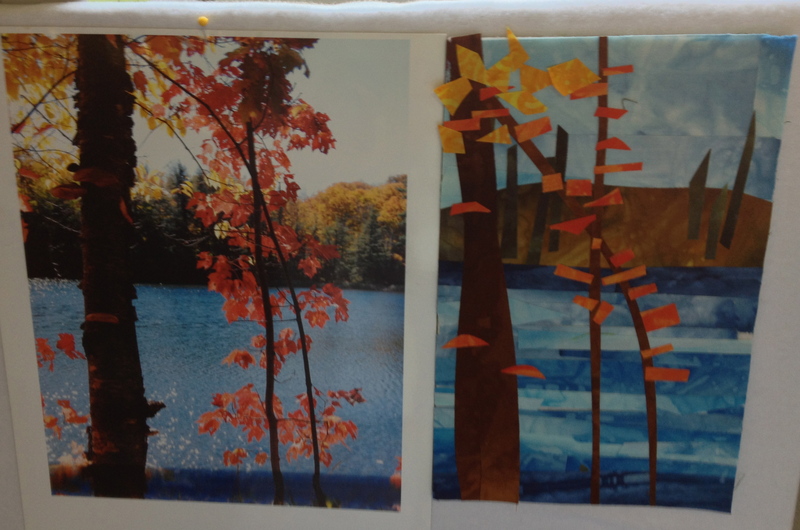 These are only about 6″ x 8″ in size. I love the abstract leaves. I just think that the color makes the picture. My “table mate” for the workshop made this sunrise picture from her vacation home on the beach. Wouldn’t you love to look out at that everyday that you’re on vacation? All 15 participants in the workshop did something quite different and they all looked fabulous. 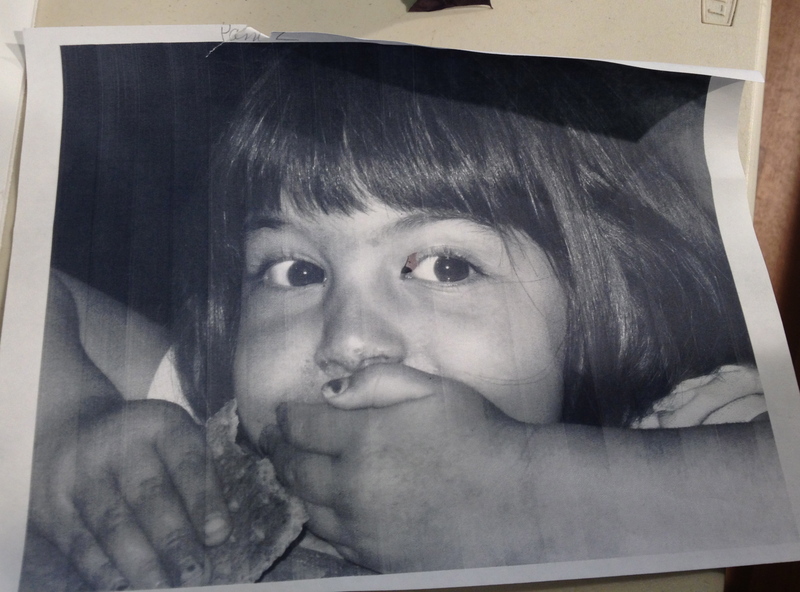 Not only that, but it was a lot of fun to hear the stories behind why each person picked the photos or pictures that they used. 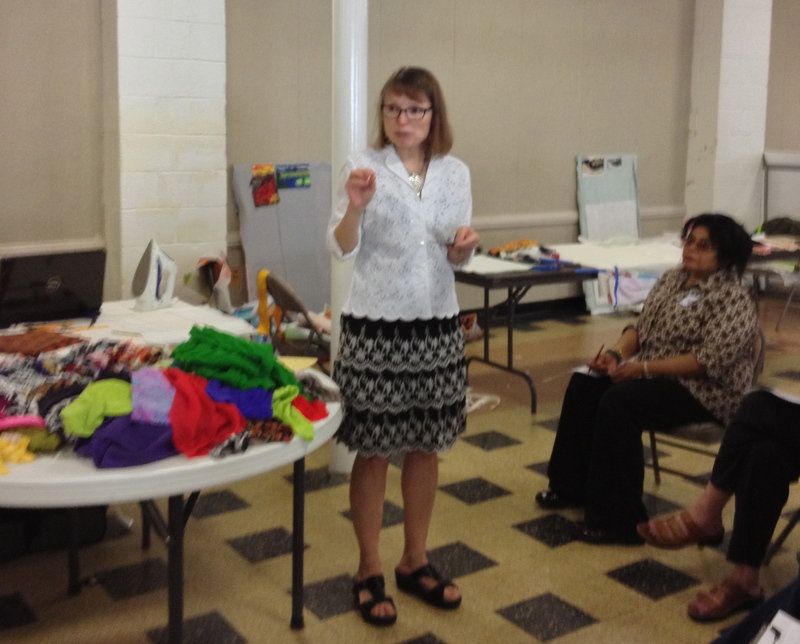 Thanks, Sue Benner, for such a fun and informative workshop. What was I thinking when I named my blog? I finally have time? Really? Not for sewing recently! Sometimes other things come up. Sometimes they’re good and sometimes they’re not. 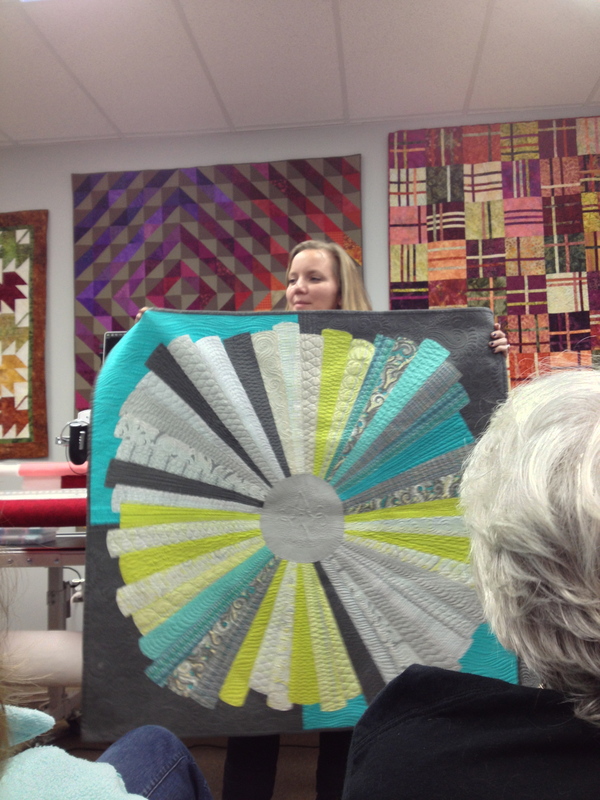 On a good note – the NeedleChasers of Chevy Chase Quilt Guild had our bienniel quilt show on October 12 & 13, 2012. I was the quilt show chairman. We had 2 years (since the last show) to get this one organized and there always seemed to be plenty of time to take care of all the details – right down until the last couple of months when the reality finally sunk in that this event was actually going to happen and we had to be ready. I had so much help and it took so many people working together to make this show such a great success. And it was a great success. 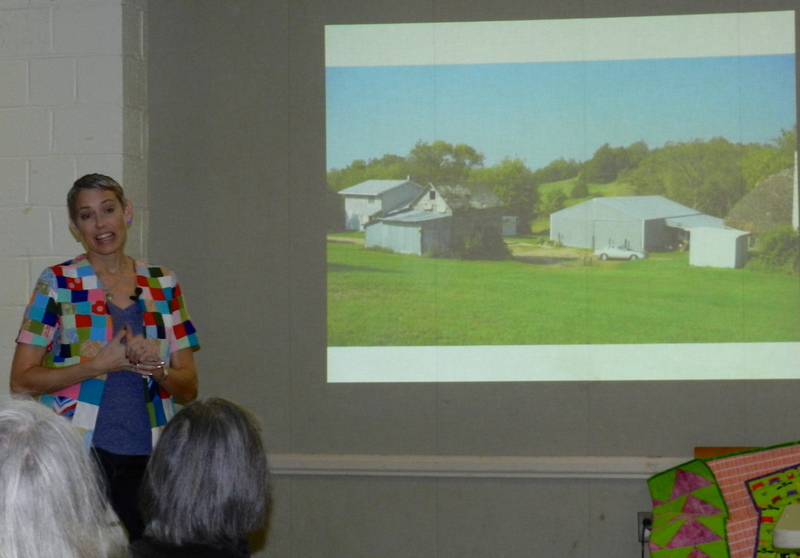 The quilts were beautiful and our boutique and silent auction items sold and people came! 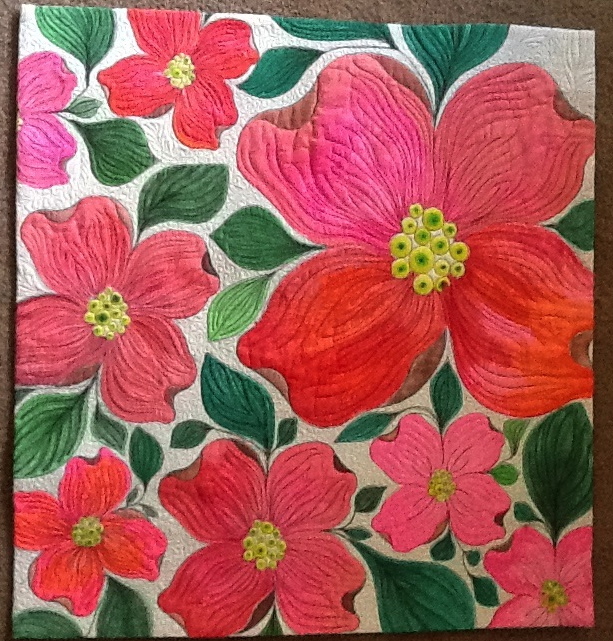 This whole cloth quilt began with quilting the flowers, then free-hand designing the leaves and finally painting and dyeing inside the petals and leaves. Isn’t it beautiful? 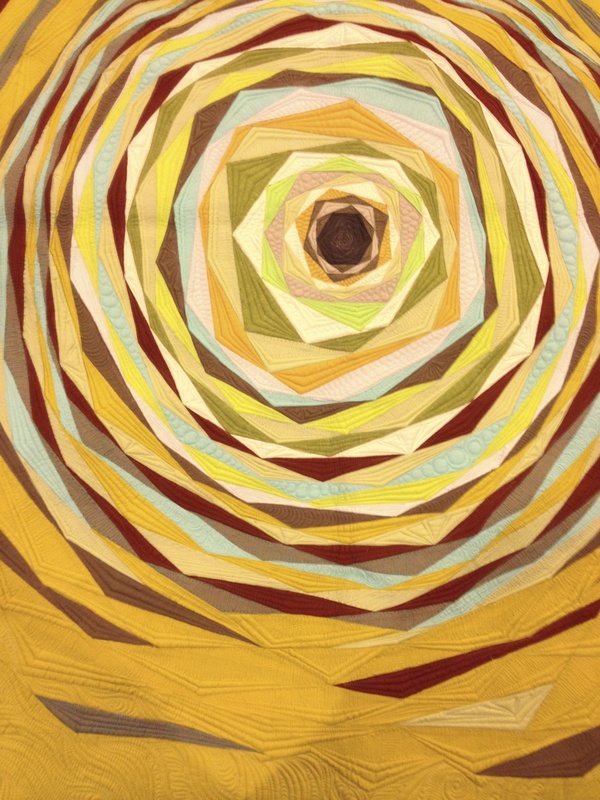 Marina is an exceptional long arm quilter and does this professionally. See her website here. 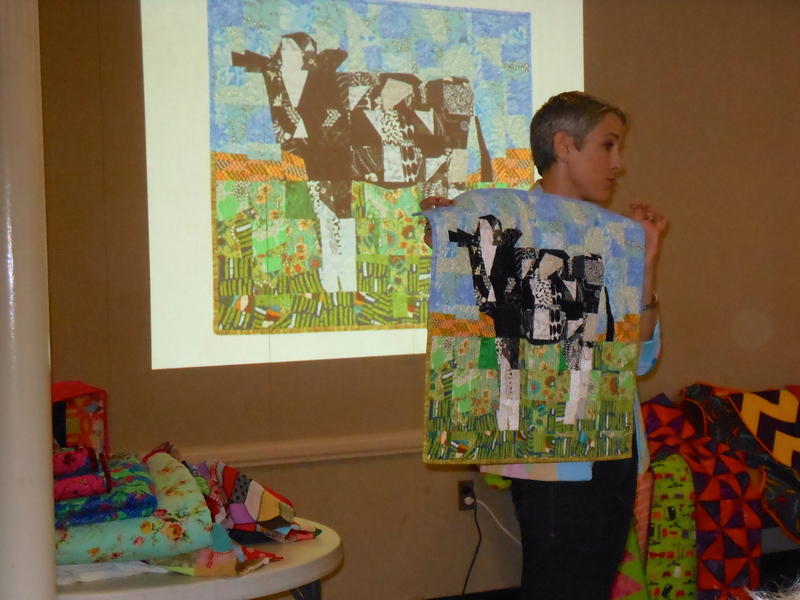 There were many, many quilts at our show that were made by our members but quilted by Marina – including our raffle quilt! Marina also helped determine the quilt display layout for our show. 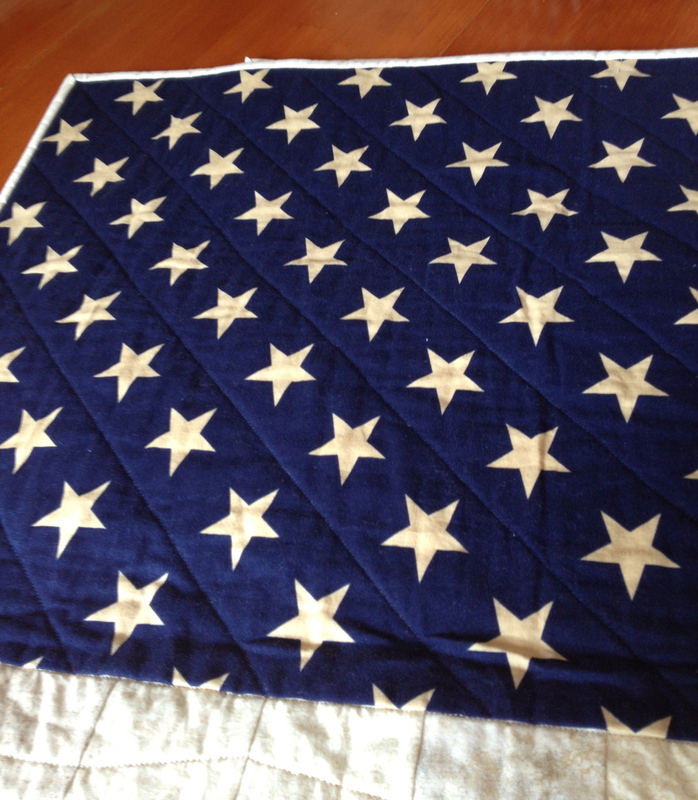 This quilt was all hand stitched – applique and quilting. Anne loves traditional designs and hand stitching but also likes to make bags, notebook covers and small holiday themed quilts. Take a look at her blog here. 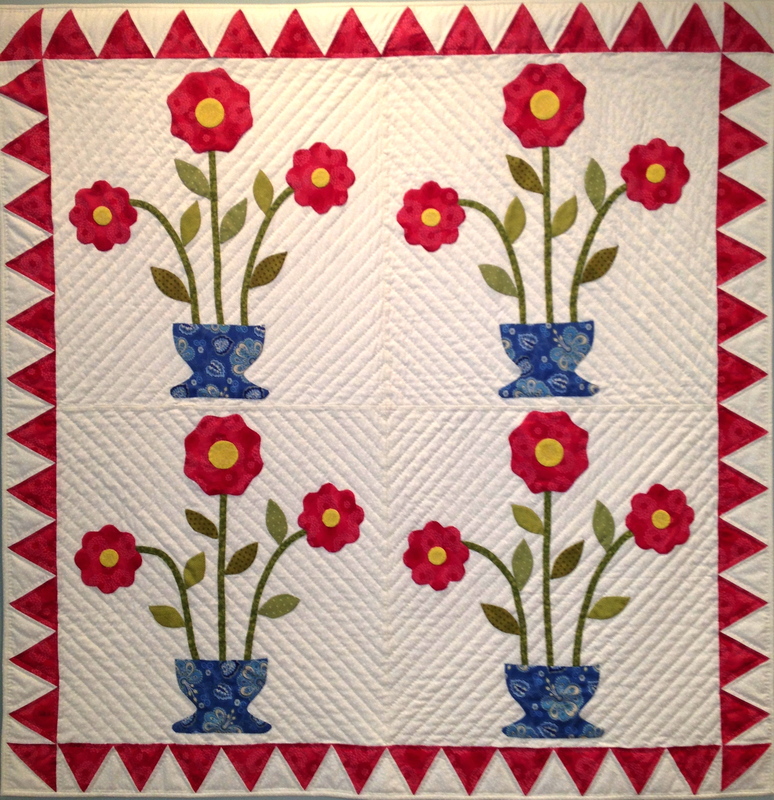 Coralyn says that this quilt was from a class at the Mid Atlantic Quilt Show by Ami Simms and is a twist on the traditional bow tie block. I just love the different colored spools of thread! 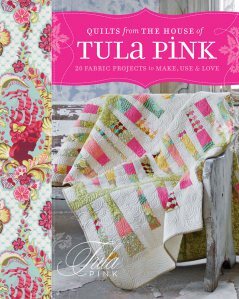 What quilter wouldn’t? 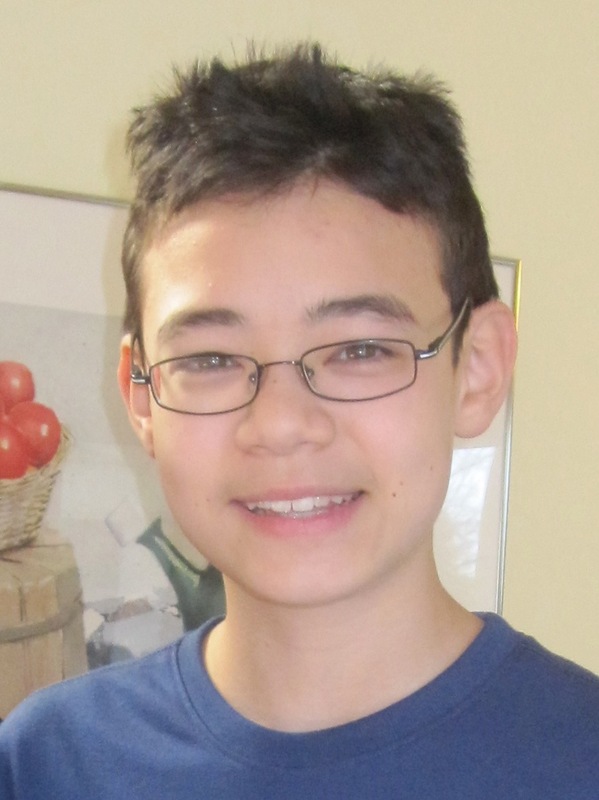 Coralyn is our NCCC treasurer. 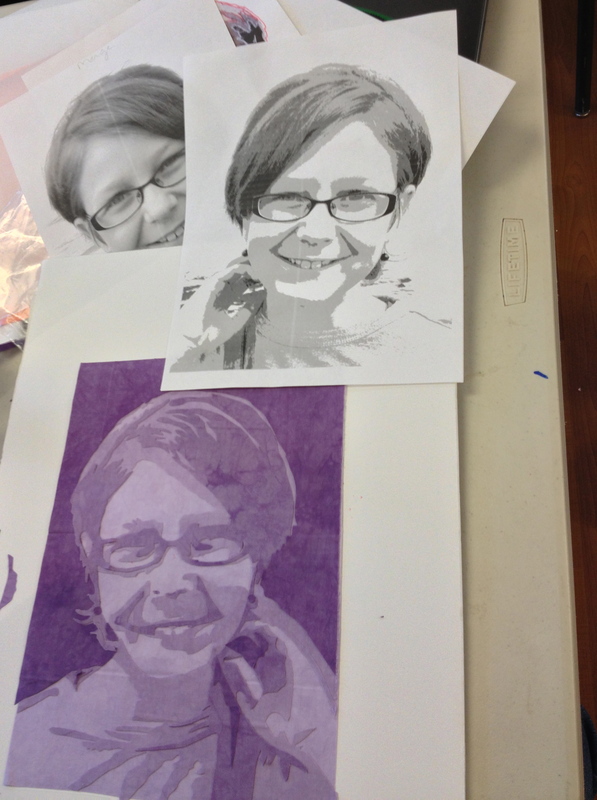 Jan took a workshop in deconstructed screen printing. 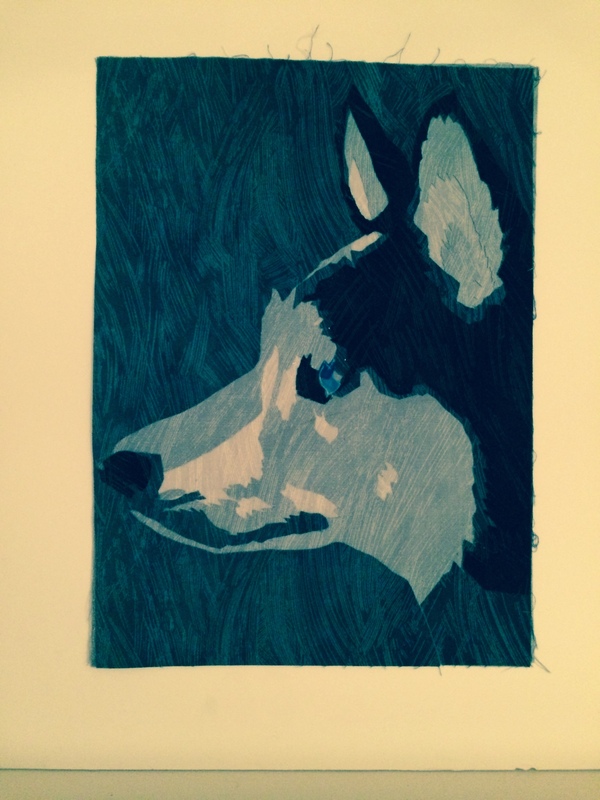 This print reminds her “of panes of glass and the distortion of the light through water droplets”. 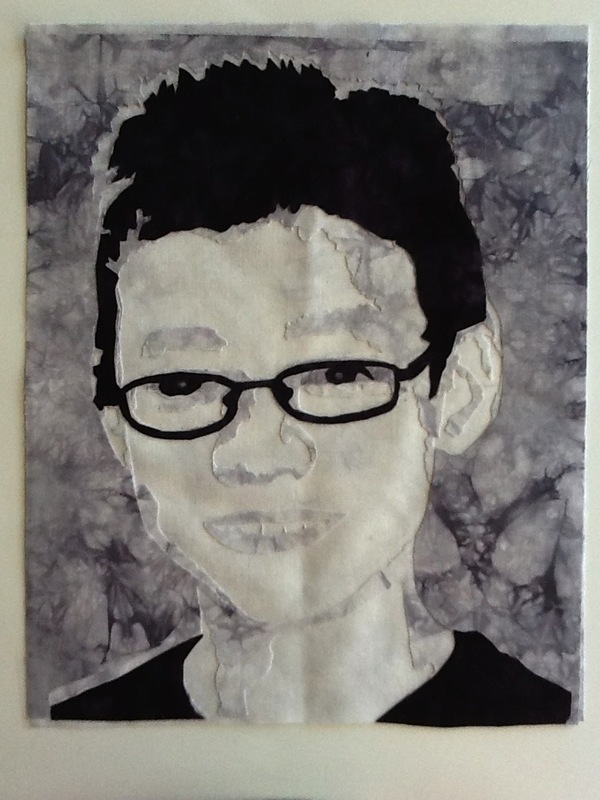 It is printed, layered with organza, enhanced with fabric pencils, machine stitched and quilted, and hand embroidered. Whew! 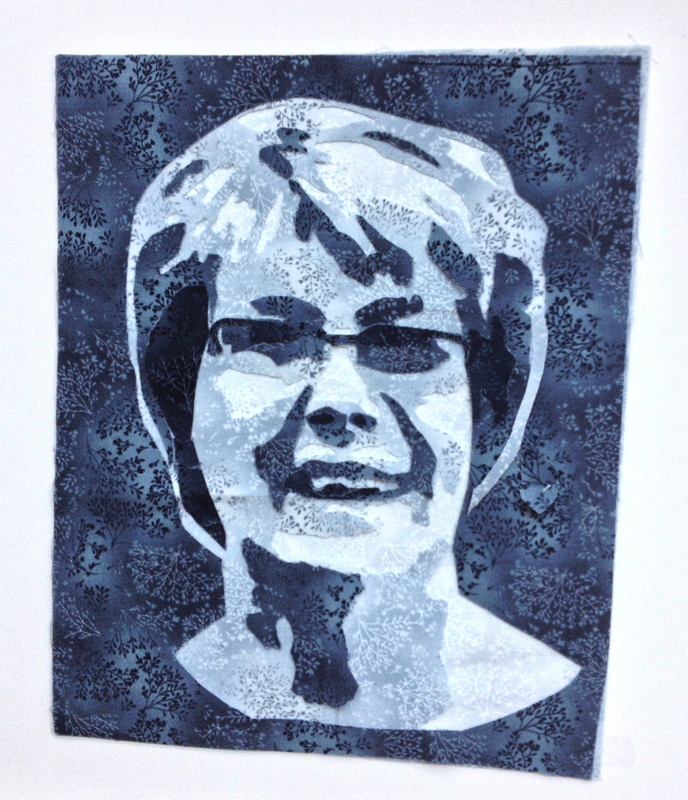 Jan is one of our NCCC program chairs and helped chair the boutique at the quilt show. See her webpage here. Joy likes to make quilts out of silk neckties. I loved to point this quilt out to the men at the show. 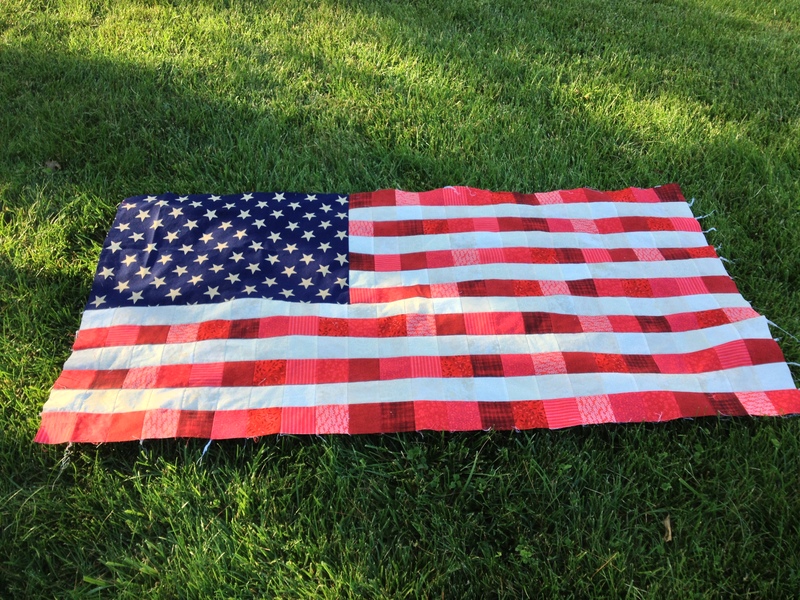 They were surprised to know what it was made from and often looked closer and thought they might have the same tie or two that was used in this quilt. 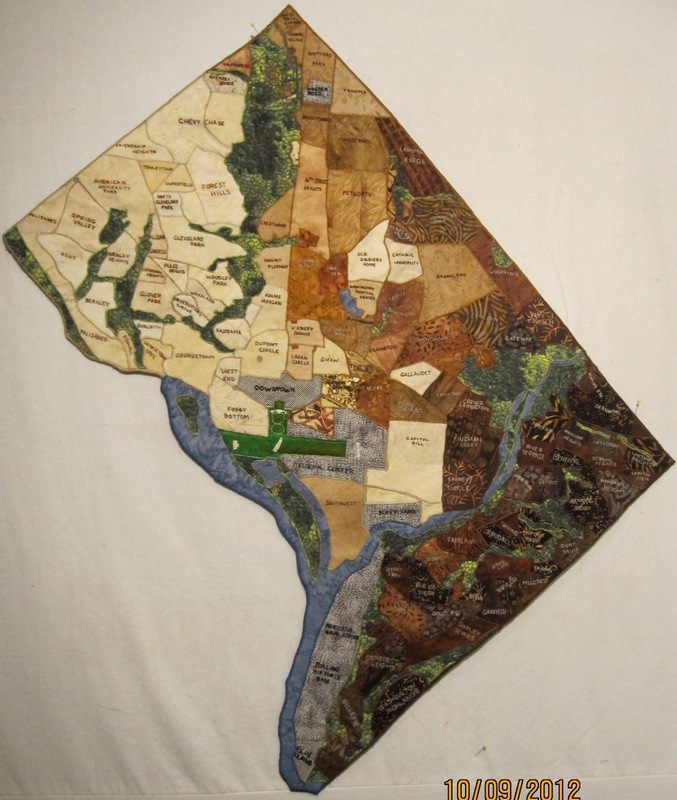 This quilt won the viewers choice “award” for the challenge quilt category (small quilt depicting Washington, DC). 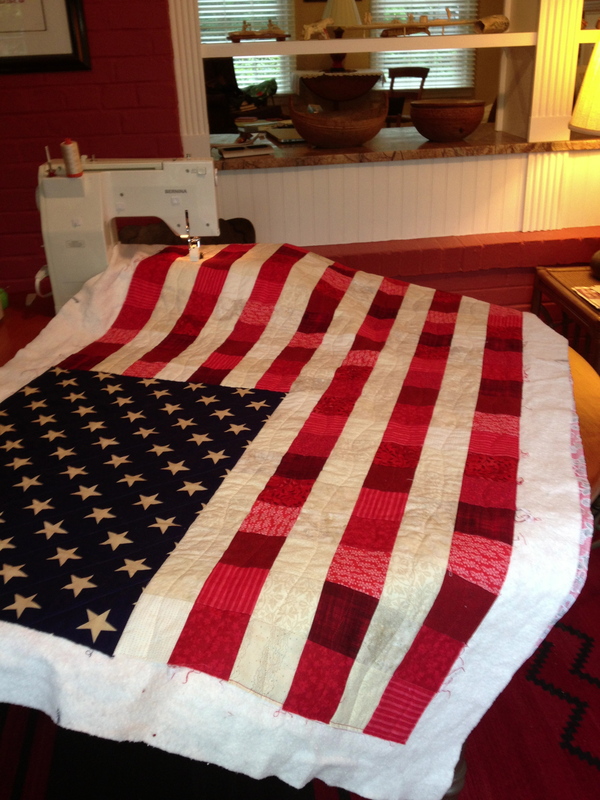 Alice worked long and hard on making up this quilt. She used the neighborhood map from the Department of Planning and ethnicity information from the Center for Urban Research based on the 2010 census to indicate the varying neighborhoods in DC. She hand embroidered all the names of the neighborhoods on to this quilt. 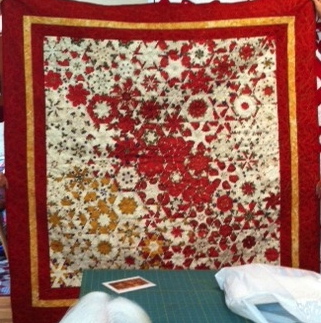 (Sorry for the “mess” in the foreground) This is a beautiful Kaleidoscope quilt made by Donna as a wedding “Chuppah” for her son’s wedding. 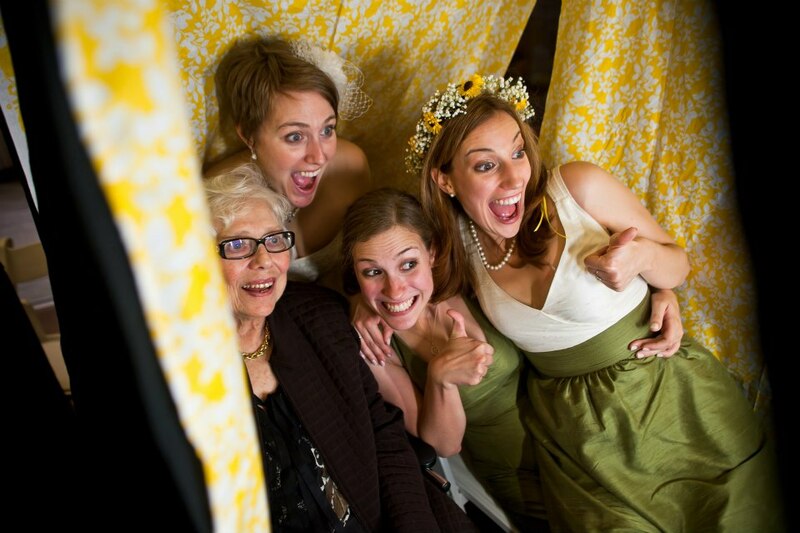 It is one of the prettiest kaleidoscopes I have seen and the couple chose the fabric. Donna is one of our NCCC program chairs and was in charge of the Silent Auction along with her friend Ruth at the quilt show. 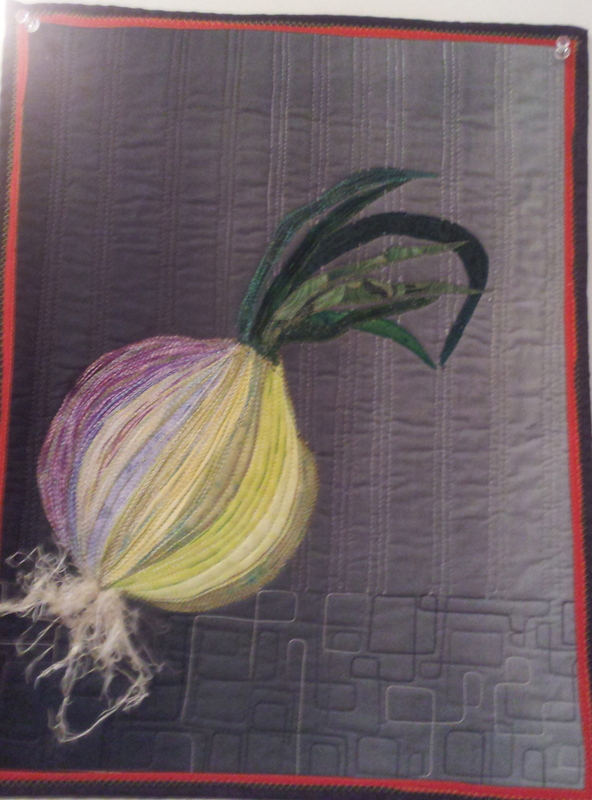 I really love this onion! 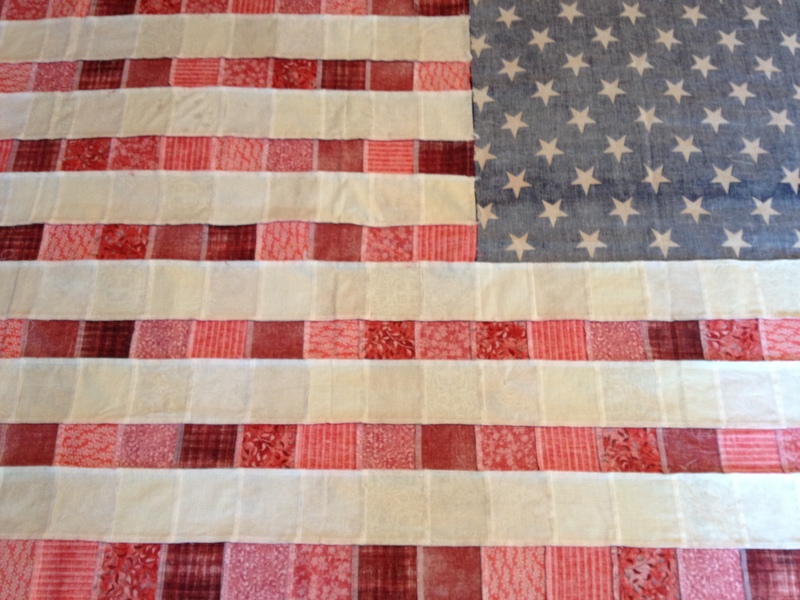 Clover machined pieced, appliquéd and quilted this quilt using commercial and hand dyed fabrics. 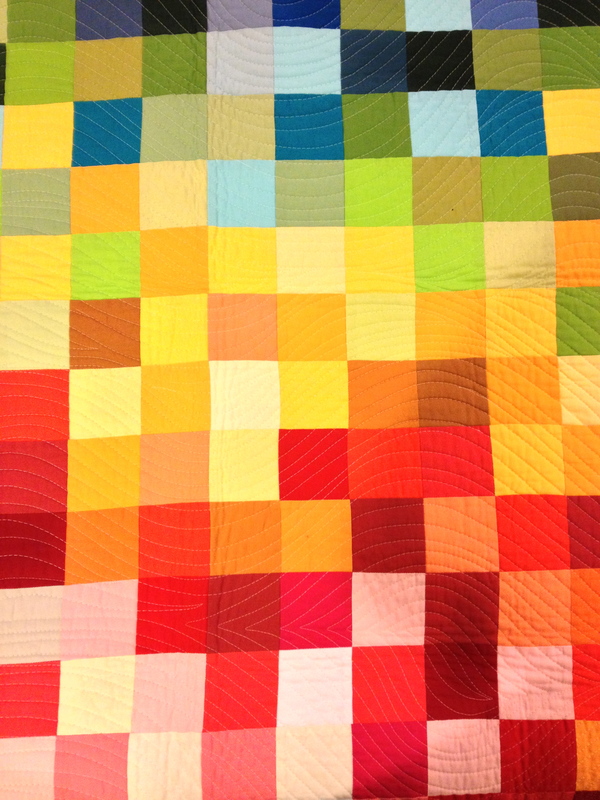 This quilt has a lot of texture to it that is hard to capture in a photo. 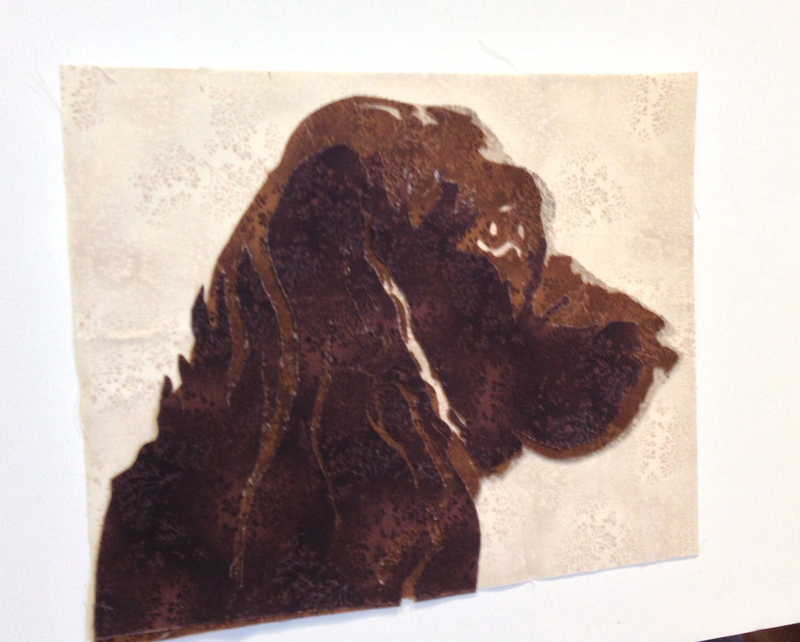 Debbie used fabric “lace” making, shrinkable fabric and needle felting to achieve this. Our quilt show’s “challenge” to our members this show was to make a small quilt that depicts something about the Washington DC area and this is what Debbie made. She walks her dog in Rock Creek Park all the time. 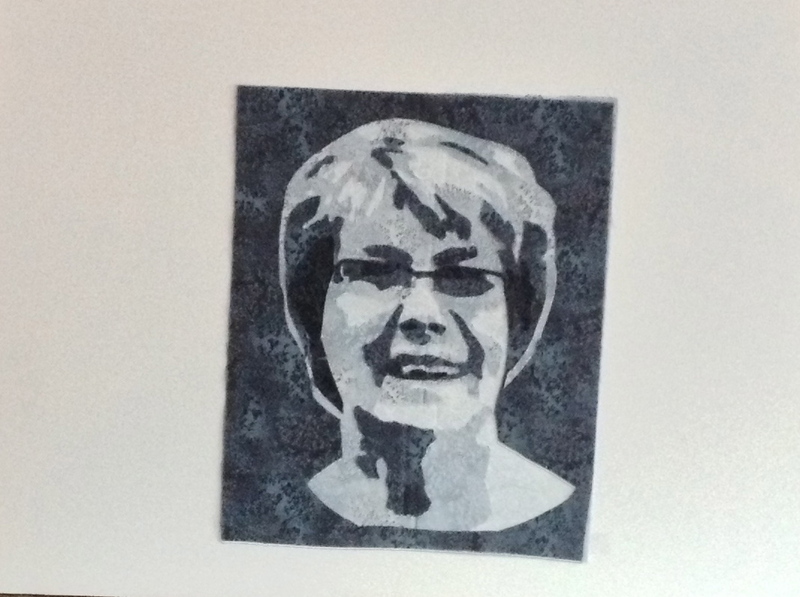 Debbie is our NCCC president, helped chair the boutique at the quilt show and you can see her webpage here. 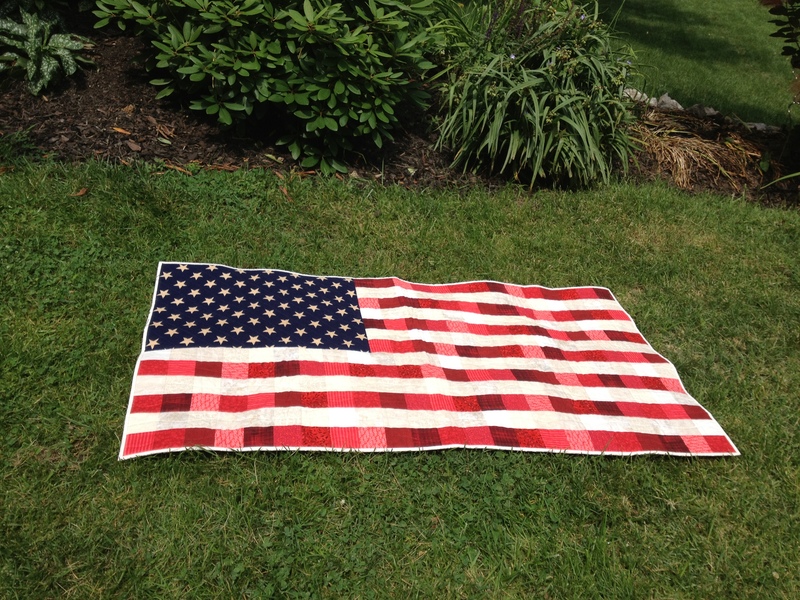 Donna is a wonderful quilter who tries all sorts of different things with fabric. 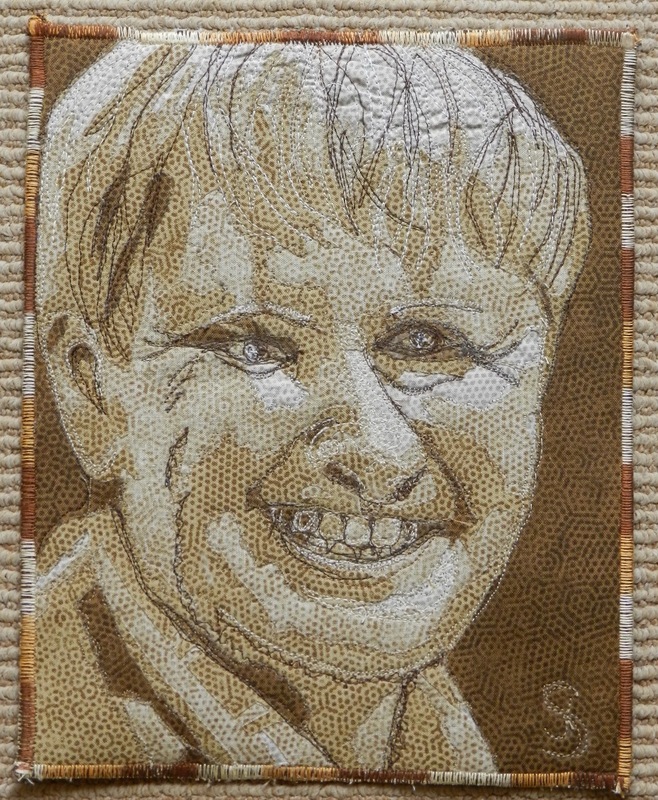 She makes a lot of “series” of quilts and exhibits all the time. 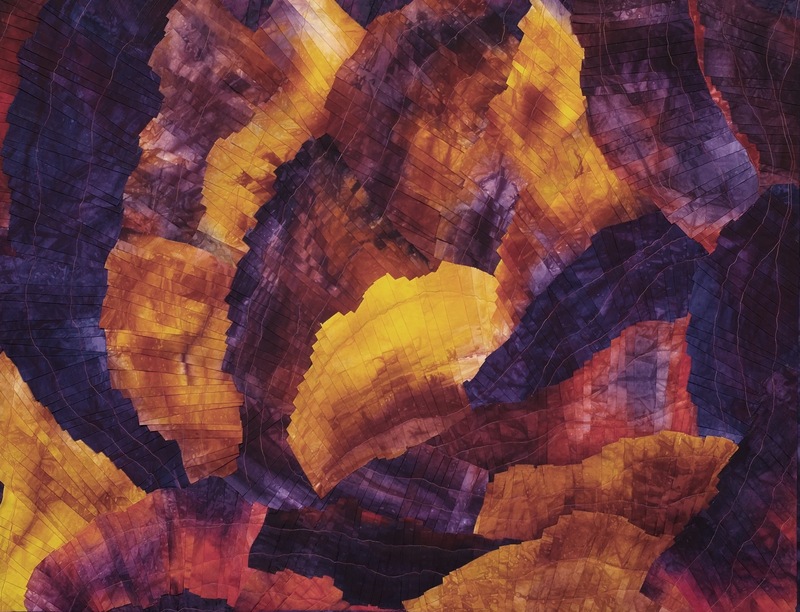 This quilt was “inspired by slot canyons and striated rock formations of the Western United States. Curvy strips are cut from hand dyed fabrics, then pleated individually and formed to make a composition. 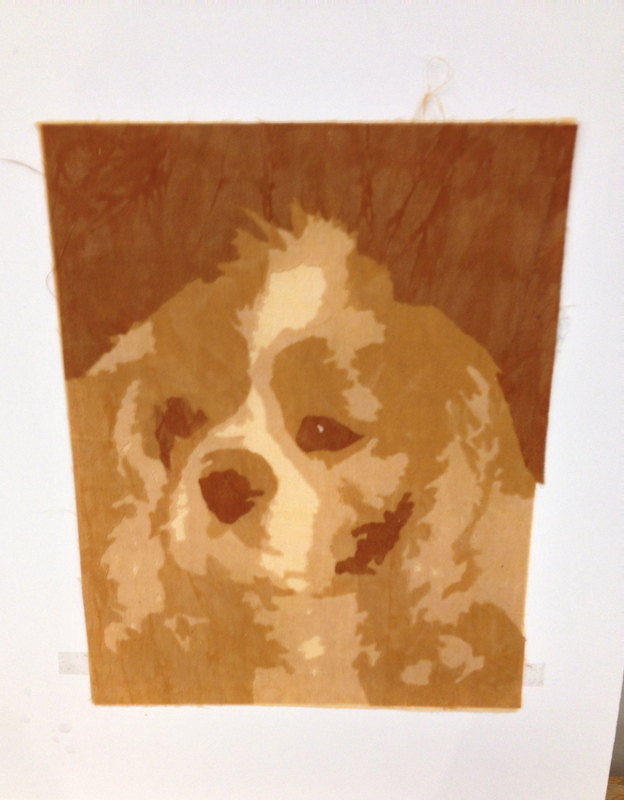 The strips are slightly overlapped and then fused to the background of batting and backing. Machine quilting anchors the pieces to the batting canvas. In this case, the edges are left free to provide additional depth.” Donna was instrumental in recruiting all the volunteers for our quilt show. 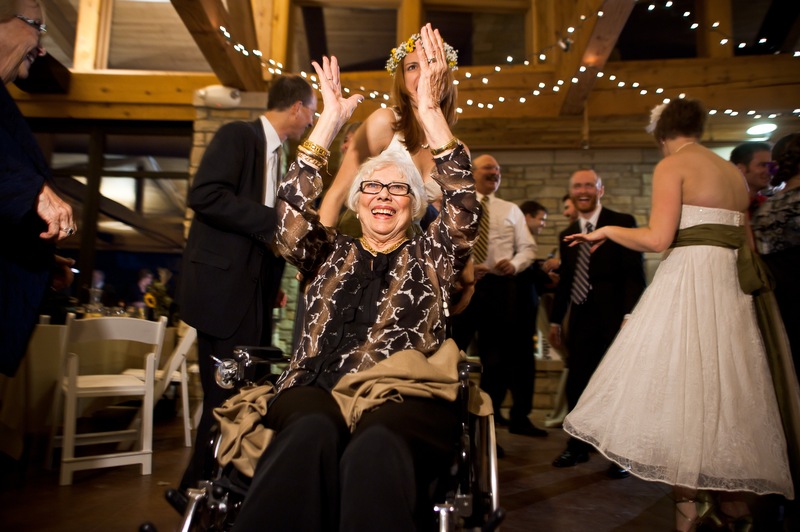 Click here to go to Donna’s website. 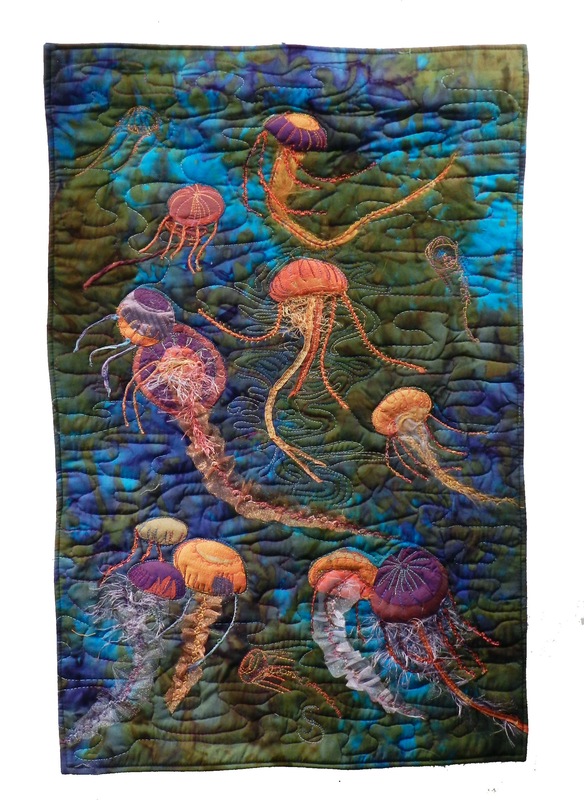 Joan used batiks, silks, yarns and translucent fabrics to make these jellyfish dance. 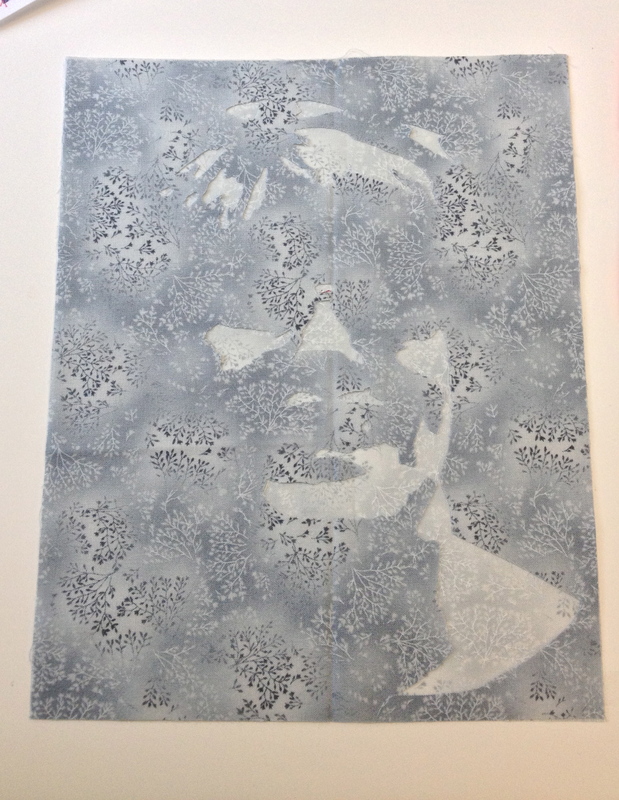 I wish you could see this and all of these really dimensional quilts up close! Joan is our NCCC web mistress and as a retired architect, helped determine and plan the layout and set up for our show. View her webpage here. 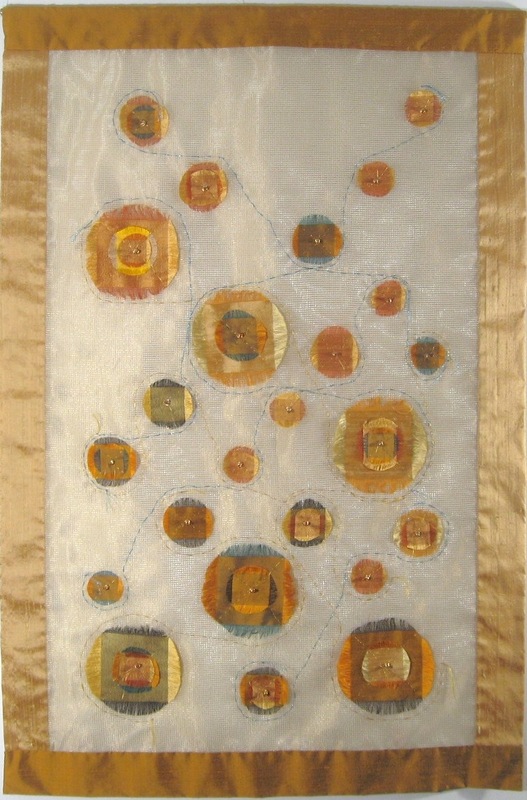 Dianne says that she was inspired by the sheer silk hangings of South Korea called bojagi and by the multiple colors woven into Thai silk when making this piece. 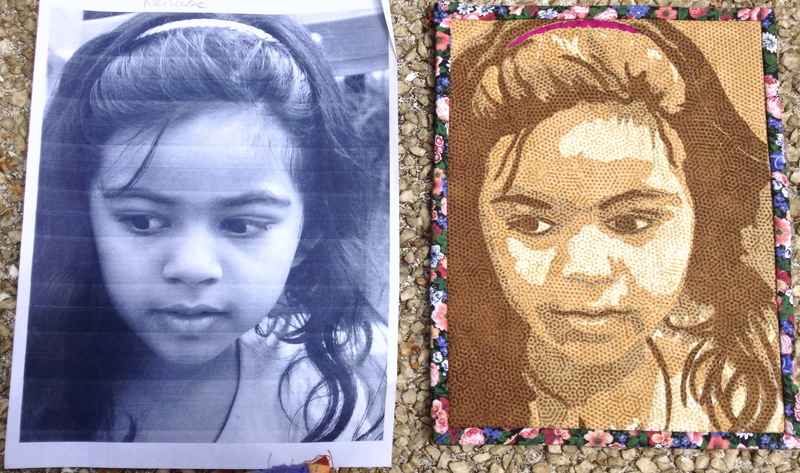 It is hand appliquéd, embroidered and beaded. 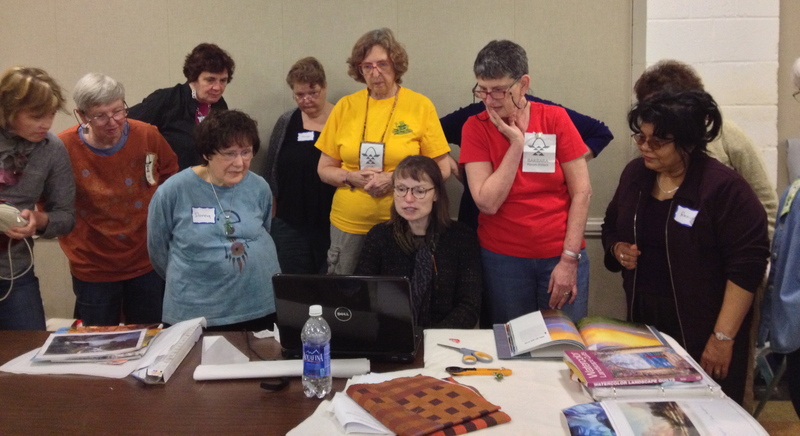 Dianne was in charge of demonstrations at the quilt show which were a lot of fun and very informative. 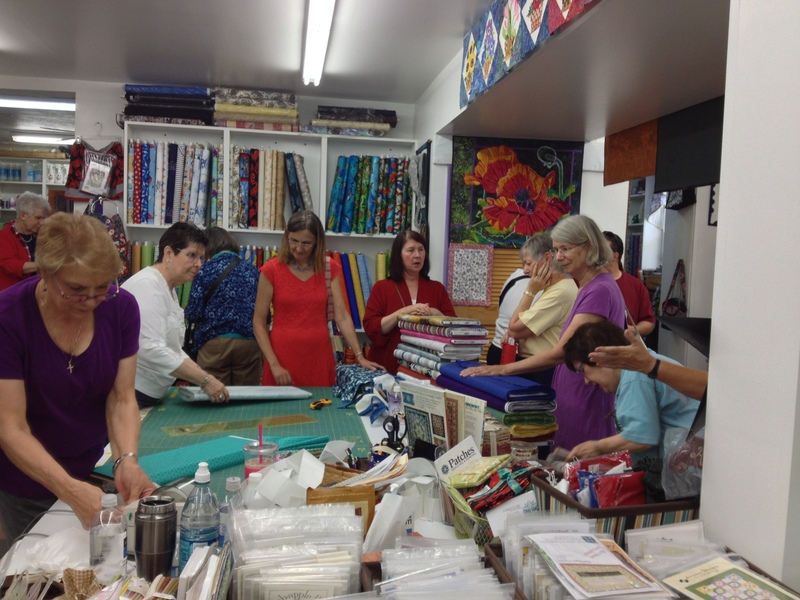 Many people who came to the show got to try one technique or another related to quilting. 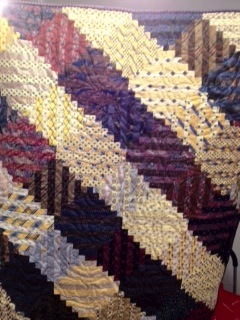 The NCCC quilt show made enough money to keep our organization going for another 2 years in great style. 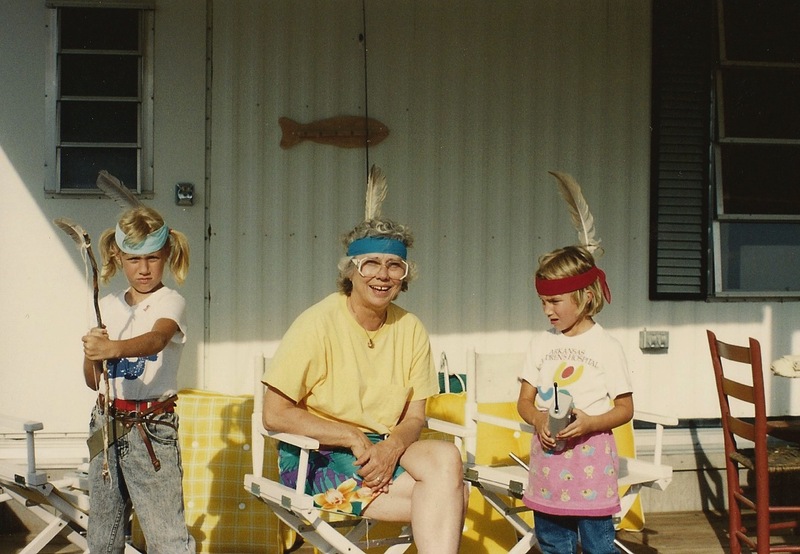 Other than showing our quilts to our family and friends, this was the objective – to make some money. 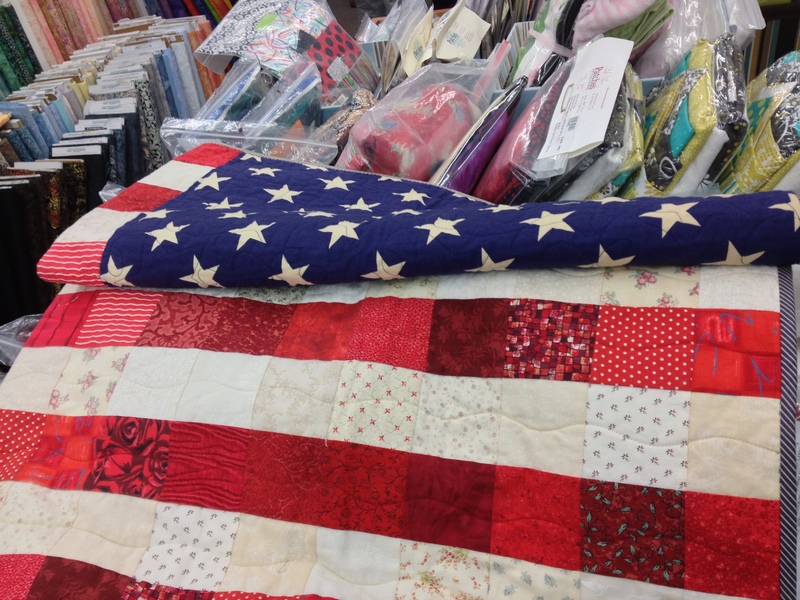 We want to have enough supplies to make quilts for our community service projects and we want to have inspiring teachers come teach us to try new things and techniques. We will be able to do both. 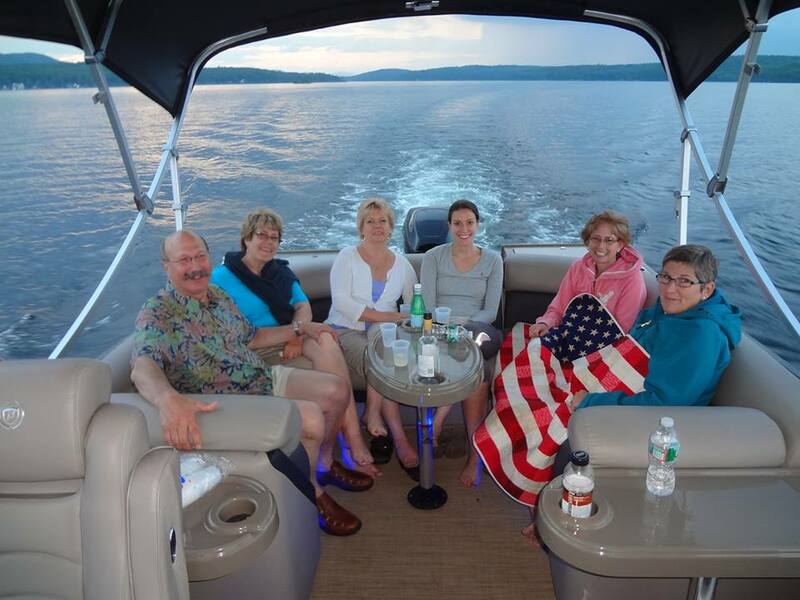 We have lots of good memories (and maybe some that aren’t as good – isn’t that always the case?) 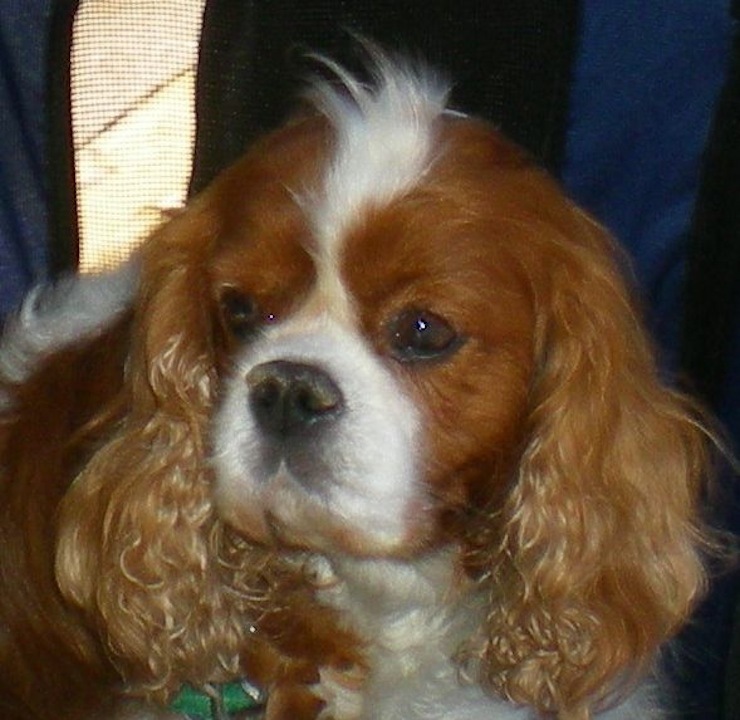 but we will miss you Lenore!